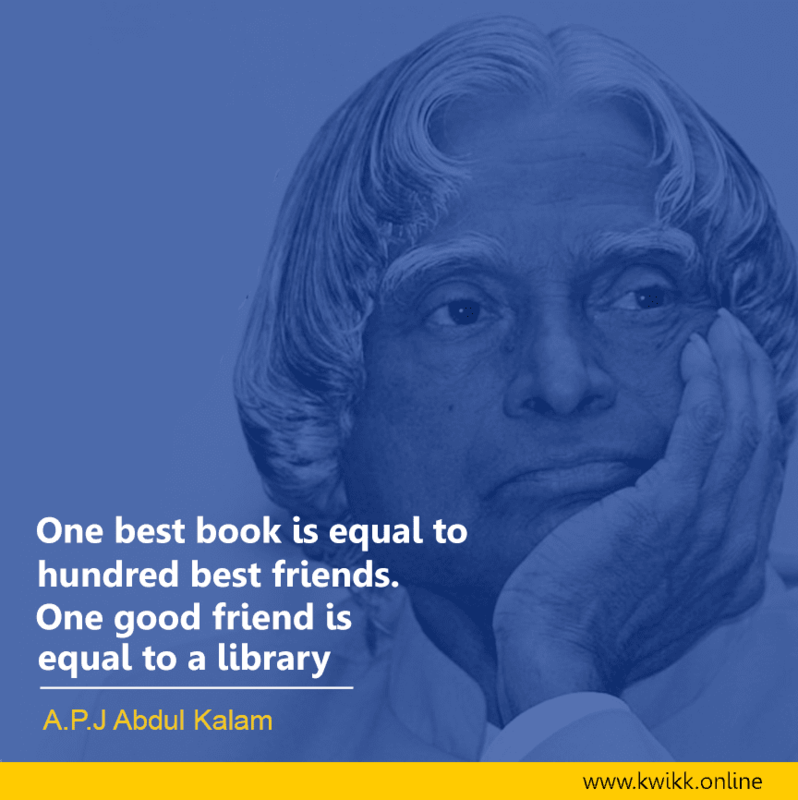 APJ Abdul Kalam was a renowned scientist in India. His full name is Avul Pakir Jainulabdeen Abdul Kalam. He hailed from a poor Muslim family in Rameshwaram. 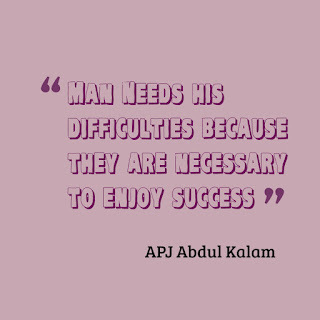 Here are some super-inspiring quotes from 'the missile man of India'. "Success is when your signature changes to autograph." 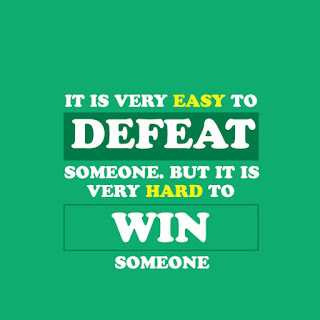 waiting to say that your first victory was just luck." 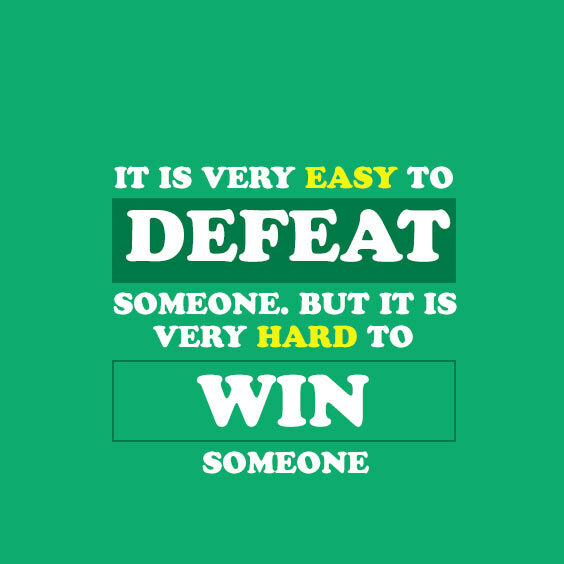 If you fail you never give up, because FAIL means 'First Attempt In Learning'. Good behavior doesn't have any monetary value. But, it has the power to purchase million hearts. One best book is equal to a hundred good friends, but one good friend is equal to a library. Without your involvement, you can't succeed. With your involvement, you cant fail. He also became the President of India from 2002-2007. He was the eleventh President of India. He was born on October 15, 1931. He died on July 27, 2015. Kalam is also known as the "Missile Man of India". He has received Bharatratna, Padma Bhushan, Padma Vibhushan awards. he was always an inspiration icon for the youth of India. He studied Physics and Aerospace Engineering. He had a major role as a scientist in India's nuclear test in Pokhran. He was also one of the master brain in developing ballistic missile and also in developing many of ISRO(Indian Space Research Organsation) projects He graduated from Madras IIT(Indian Institute of Technology). He is also known for the development of a low cost coronary stent, working along with cardiologist Raju. The stent is known as Kalam-Raju stent. They together also developed Kalam-Raju Tablet, a tablet helpful for health care in the rural areas of India. He was also called as 'People's President'. He is the author of one of the best seller inspirational self help book in India named " The Wings of Fire". 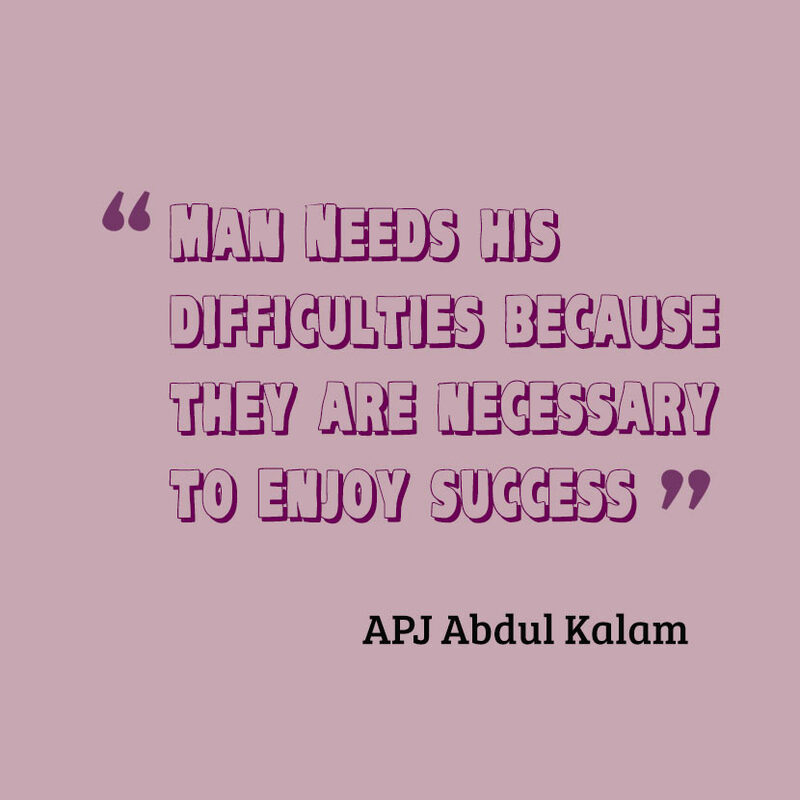 If you need more Abdul Kalam quotes, go here.